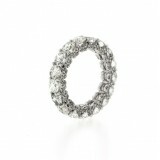 A unique and modern change on the look of the classic eternity band. 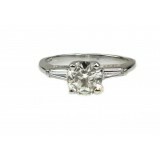 Beautifully set in F-G Color..
Beautiful Solitaire Ring set with F color and SI2 quality round cut diamond in prong setting. 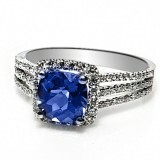 Tot..
Gorgeous engagement ring set with G color and VS2 quality of diamonds and sapphire in prong setti.. 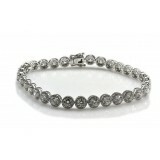 This is a beautiful bracelet to show your loved one how much you really love her. This brace.. 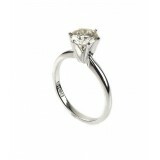 This is a magnificent round cut diamond engagement ring. The 1.01 cts center diamond has an F Col.. 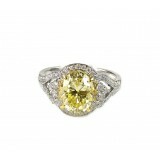 This is a magnificent oval cut fancy yellow diamond engagement ring. 3.23 CT fancy yellow center ..
Beautiful solitaire engagement ring set with G-H color and VS-SI quality round cut diamond in pro..
2.17 Ct Fancy Yellow Heart Diamond Pendant ,18K White Gold ..
Beautiful cocktail ring set with G-H color and VS-SI quality stones. 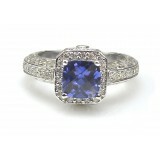 Cushion cut sapphire and rou.. 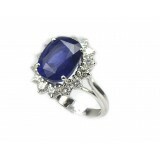 This gorgeous setting was made to fit the finger of your loved one. In the cente..